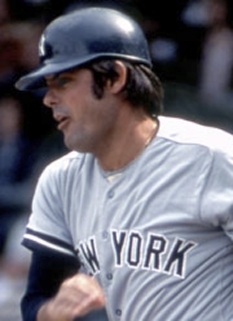 Baseball great, Lou Piniella, was born on August 28, 1943, in Tampa, Florida. 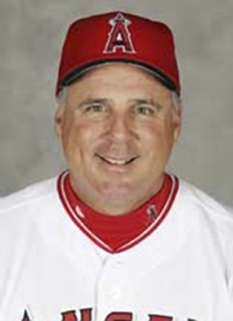 Pinella is currently the manager of the Chicago Cubs and a former Major League Baseball outfielder. 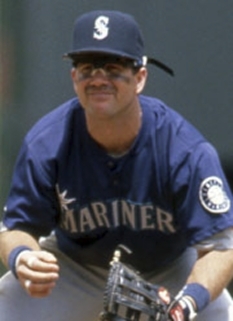 He has been nicknamed "Sweet Lou," both for his swing as a major league hitter and, facetiously, to describe his demeanor as a player and manager. He presently ranks 14th all-time on the list of Managerial Win. Lou Piniella has been ejected 61 times in his managerial career because of his often aggressive and sometimes explosive behavior. 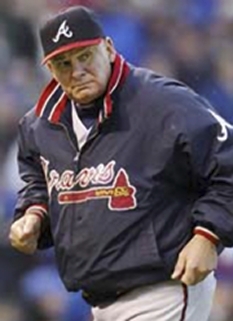 Among active managers, only Joe Torre, Tony LaRussa and all-time leader Bobby Cox have received more ejections. He often sends his pitching coach to remove a pitcher from the game. 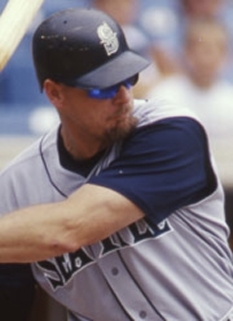 He once got into a clubhouse scuffle with pitcher Rob Dibble while with the Reds, which was caught on video, ending with the two being pulled apart and Lou screaming, "You don't want to be treated like a man!" Lou Pinella has amassed a 1,604-1,497 (.517) managerial record in 20 seasons with the New York Yankees (1986-1988), Cincinnati Reds (1990-1992), Seattle Mariners (1993-2002), Tampa Bay Devil Rays (2003-2005) and Chicago Cubs (2007). Lou Pinella is the only manager to lead two teams to wire-to-wire finishes, accomplishing the feat with Cincinnati in 1990 and Seattle in 2001...Prior to 2007, managed the Tampa Bay Devil Rays from 2003-2005, compiling a 200-285 record...The Devil Rays received the rights to negotiate with Lou, along with shortstop Antonio Perez, from the Seattle Mariners in exchange for outfielder Randy Winn...The transaction was agreed upon on October 18, 2002, and was contingent upon the Rays reaching an agreement with Piniella...On June 26, 2004, the Devil Rays became the first club in major league history to climb over .500 after being 18 or more games under .500...Led the Rays to a 20-6 (.769) mark in June of 2004, a franchise record and Lou's second-best record in any month...He went 20-5 (.800) with Seattle in April 2001. Prior to his stint at Tampa Bay, Lou Pinella led the Seattle Mariners to four post-season appearances over 10 seasons from 1993-2002...His 840 victories with Seattle is a franchise record and were eight more wins than the previous eight Mariners managers combined...Led the Mariners to 300 victories over three seasons from 2000-2002, including a MLB record-tying 116 wins in 2001...His 1995 club became the first Seattle team to advance to the postseason...Guided the Cincinnati Reds to their most recent World Championship in 1990, his first of three seasons as the Reds manager...The Reds' pennant in 1990 was the club's first since 1976...The 1990 club set a team record with nine straight wins to begin the season and became the first team in N.L. history to go wire-to-wire in a 162-game format. Lou Pinella began his managerial career with the New York Yankees, leading the club from 1986-1988...Led the Yankees to a 90-72 mark in 1986, good for second in the A.L. 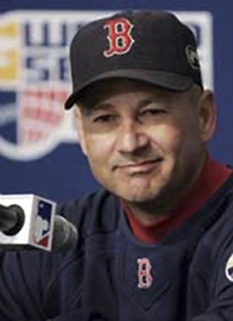 East and fifth-best in the majors...Won the Baseball Writers' Association of America American League Manager of the Year Award after the 1995 and 2001 seasons...Also won The Sporting News' A.L. 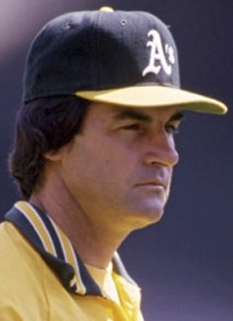 Manager of the Year honors in 1995 and 2001...Prior to managing the Yankees, he was the team's hitting instructor and a player with New York in 1981...Became a full-time coach after his retirement in 1984. DISCLAIMER: PFP Sports Talent Agency does not claim to represent itself as the exclusive agent for Lou Piniella. PFP Sports Talent Agency is a booking agency that represents organizations seeking to hire pro athletes and sports personalities such as Lou Piniella for speaking engagements, personal appearances, product endorsements and corporate entertainment. Fees on this website are estimates and are intended only as a guideline. Exact fees are determined by a number of factors, including the location of event, the talent’s schedule, requested duties and supply and demand. 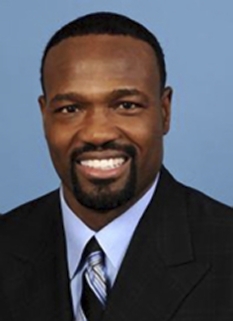 PFP Sports Talent Agency makes no guarantees to the accuracy of information found on this website and does not warrant that any information or representations contained on this website will be accurate or free from errors. We are often asked how can I find out who is Lou Piniella's agent? 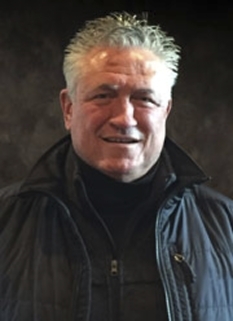 To find Lou Piniella appearance fees and booking agent details, you can contact the agent, representative or manager through PFP Sports Talent Agency for speaking fee costs and availability. PFP Sports Talent Agency can help your company choose the ideal sports personality for your next marketing campaign. To hire Lou Piniella for an appearance, speaking event or endorsement, contact Lou Piniella's booking agent for more information.